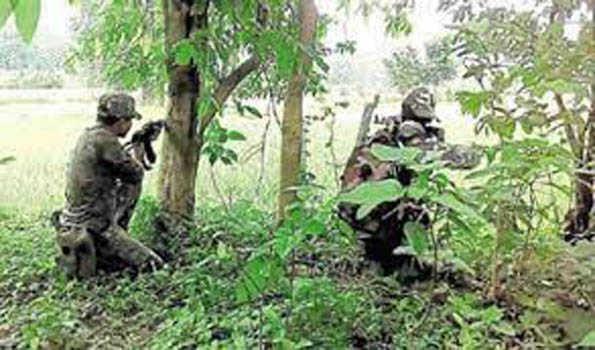 Bijapur, Chhattisgarh, Feb 7: Ten Maoists were neutralised thus far during a fierce exchange of fire that commenced in Takilod across the Indravati river when Special Armed Force and District Reserve Group personnel were ambushed during a search operation early Thursday. The firefight was in progress when reports last came in. A second platoon of law enforcement personnel subsequently engaged the rebels. "Details are being received regarding more ultra casualties. Eleven guns were appropriated," Superintendent of Police Mohit Garg said.